What do we believe at Vindicating God Ministries? Our statement of faith will sum it up for you. Part 1 of our latest video series, "The Lord "SENT" It" is now on our Youtube channel. Click here to listen to this powerful teaching. Our latest book, "The Lord "SENT" It", is now available for purchase. This book helps us to understand what the Bible Means when it says that God sent sickness, disaster, evil spirits, deception, etc. Click here to purchase. Without the RIGHT information about God people will believe the WRONG thing about Him. Since the beginning Satan has been lying to humanity about God (Gen. 3:1-7). Satan has blinded the minds of men and have prevented them from seeing that God is really a good, kind, loving, and generous God. Much of the theology we have today makes God the source of all types of evil. He is lifted up as mysterious, incomprehensible, and unapproachable. Yet God wants man to both understand and know Him (Jer. 9:24). Here at Vindicating God Ministries it is our God-given vision and goal to destroy the lies of Satan in the minds of men and present the truth about a loving, kind, and caring Father-God who is seen in all His loving glory through our Lord Jesus Christ. 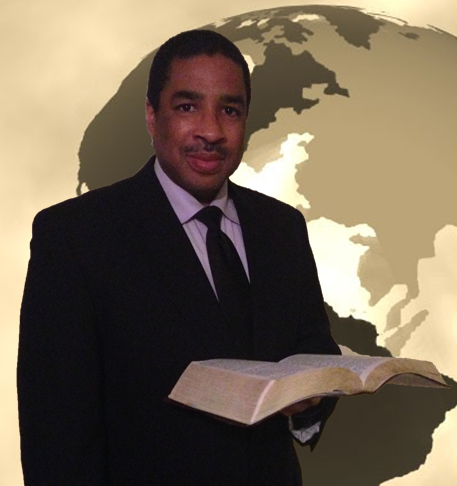 Troy J. Edwards is the founder of Vindicating God Ministries. He is also the senior pastor of Christ's Victory Bible Teaching Center in Pawtucket, Rhode Island. Pastor Troy is passionate about restoring the Biblical truth of God's loving reputation to a lost and dying world. What we believe about God not only affects our relationship with Him, but it also determines how we treat our spouses, children, co-workers, and how much compassion we have for this lost world. Vindicating God Ministries has study guides, audio, video and other available resources that you can download or listen to absolutely free. Please take advantage of these great resources at no cost to you. Random thoughts and devotions from our book, "Vindicating God: A Unique Devotional". Pastor Troy's intinerary to include seminars, crusades and other planned events. If you live in the Rhode Island and don't have a church home, consider visiting CVBTC.